World Turtle Day was established in the year 2000 to celebrate sea turtles, teach people about them, and in doing so, encourage protection of our favorite sea creatures. 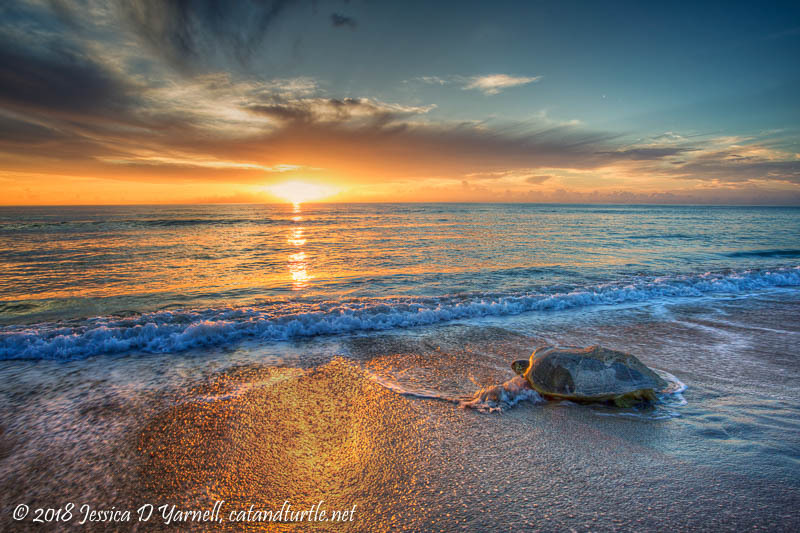 If you are in Florida for the summer, consider going on a guided sea turtle nesting walk. Volunteers with special permits take groups out onto the beach to watch the turtles lay eggs. They have special colored lights that do not disturb the turtles but allow you to see as the creature drops her eggs in the sand. The eggs hatch a few months later, and the babies make a mad dash to the ocean. Those that survive grow up alone, never to meet their parents. Yet female turtles return to the same exact spot on the beach to lay their own eggs in adulthood. It’s amazing. Rich and I have done turtle walks with the Sea Turtle Preservation Society and my family’s favorite “Turtle Museum”, aka the Loggerhead Marinelife Center in Juno Beach. Hope your day is turtle-rific!